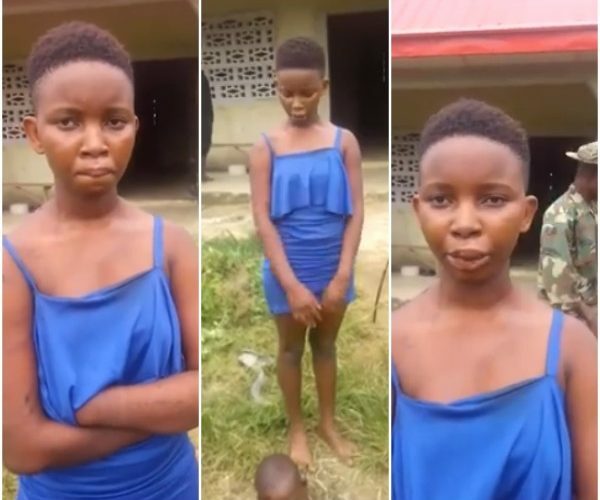 A young girl from Mgbirichi, Imo state, identified as Iheoma Chidinma has been caught with a human head. 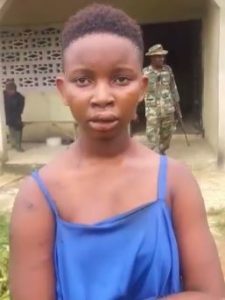 According to information we got from the video of her been interrogated by the military men, she revealed she was taking the head inside a bush to bury it. 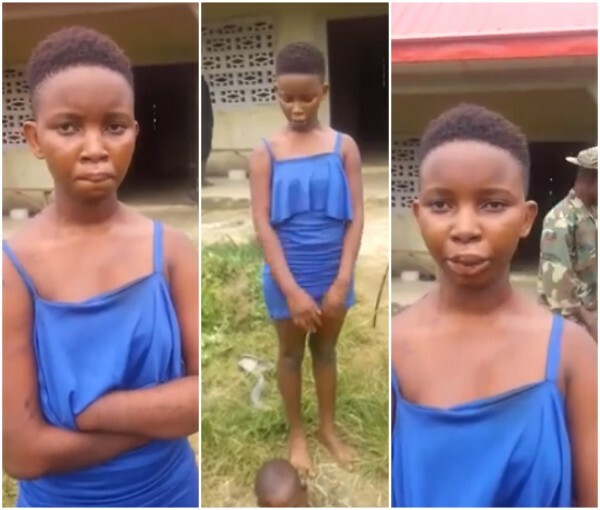 She also claimed her friend was the one who cut off the head, and said she has killed two people so far.